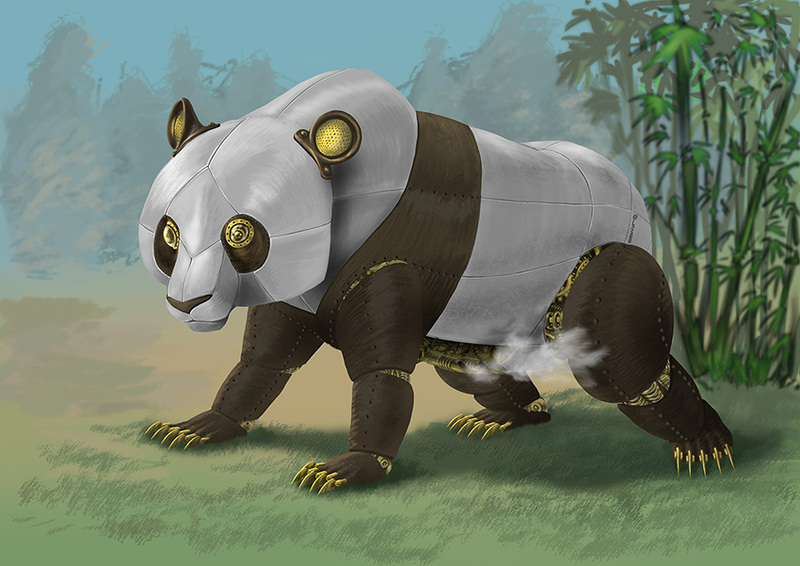 As I have posted before on the machine-illustration of a Steam-Punk Panda, here is the release of the printed issue and a peek of it among other fantastic artists. Have a look at some amazing work here! And click HERE for the posting of complete story.